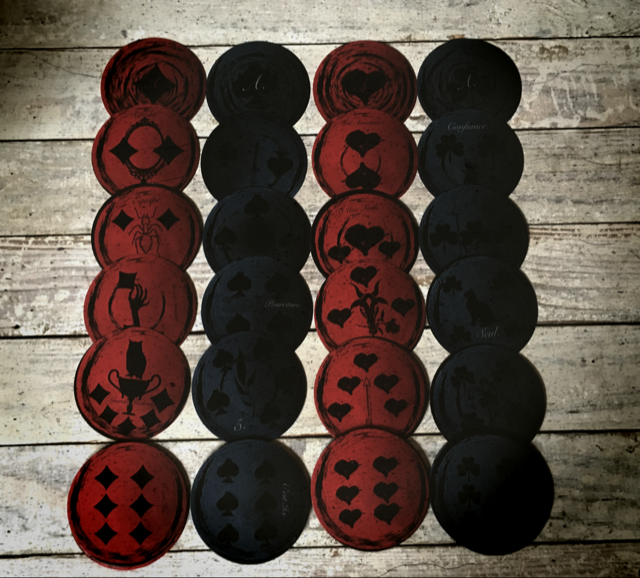 These Cards were Conjured by The Hoodoo Queen over the course of 7 days of ritual, meditation and sacrifice. Queen Co. conjured a variety of divine spirits that took her on a astral journey. This journey providing clear meaning to the numbers and symbols you will find in this set. 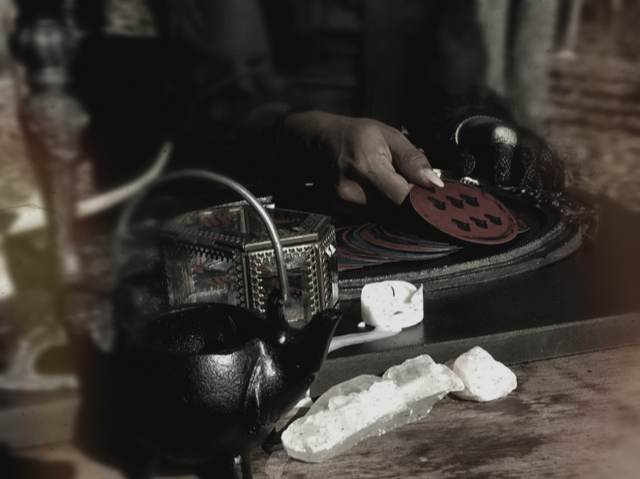 May these spirits provide guidance, protection, and divine wisdom. Should Only be use to divine or if you are playing this set to gamble make a deal with the spirit of the cards to obtain the win you desire. 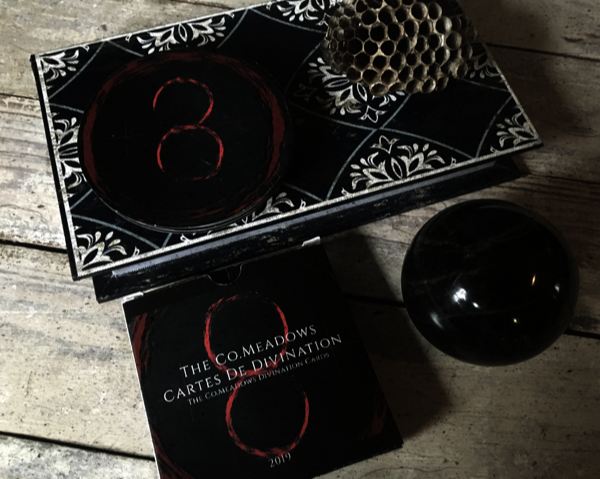 This is an original system with spreads that you will find in Le Co.Meadows Cartes De Divination Book. Inspired by The Hoodoo Queens Family Religious and Biological Lineage of Haitian Voudo, African, Native , and French Ancestry. (ATTENTION ALL ORDERS MADE BETWEEN FEB.5-FEB 18 WILL BE CONSIDERED PRE-ORDERS THESE ORDERS WILL BE MAILED THE FIRST WEEK OF MARCH) ANY ORDERS MADE THE FIRST OR SECOND WEEK OR WEEKEND OF MARCH WILL BE SHIPPED BEGINNING THE WEEK OF MARCH 18TH) AFTER THIS PERIOD ALL ORDERS SHOULD BE SHIPPED WITHIN THE SAME WEEK OF ORDERING. 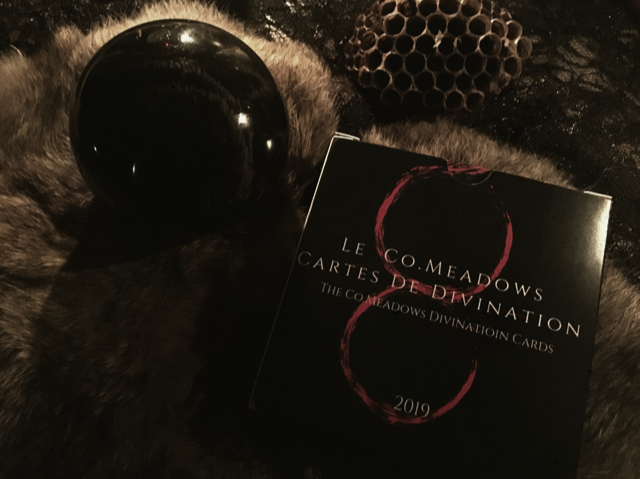 I bless you with the Co. Meadows Cartes de Divination or the Co. Meadows Divining Cards, for this set is blessed by me Co. Meadows, The Hoodoo Queen, also known as “The Dark Mother of Hoodoo.” These Cards were Conjured by a variety of divine spirits that took me on a astral journey. Providing clear meaning to the numbers and symbols you will find in this set. May these spirits provide guidance, protection, and divine wisdom. 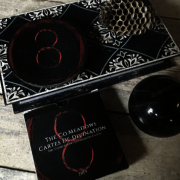 The Co. Meadows Cartes de Divination is designed and inspired by traditional card readings of Hoodoo. You will find this form of divination in my family’s religious lineage of Haitian Vodou and biological African American and French lineage. 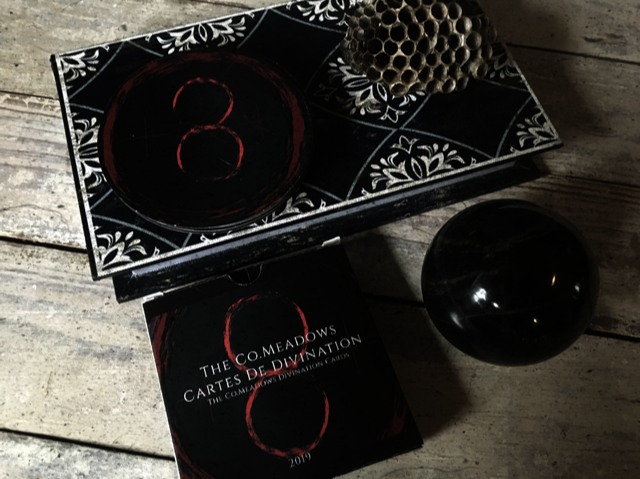 These divination cards are also defined in French. I define them in French in high honor of my French and Haitian ancestry with true and unconditional love for both. Some of the largest factors in my existence are observing, venerating, and honoring my full ancestry. Sans eux, il n’y a pas de nous et sans nous, il n’y en a pas! 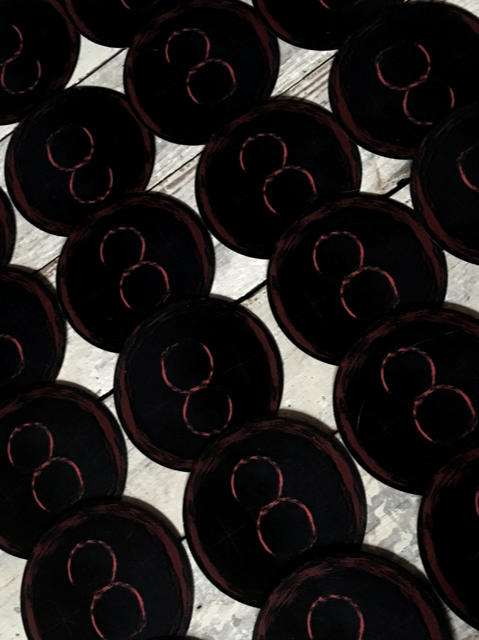 /Without them, there is no us, and without us, there is no them! 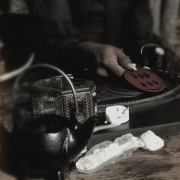 As an anointed or gifted diviner or witch, your ase is created by this scared land, your unwavering DNA, and your ancestor’s earthly experience and purpose. A strong, spiritually crafted, unique, gorgeous deck. 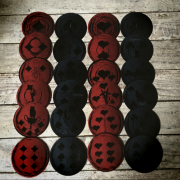 I have a main deck that I use in my divination but, this deck as well as every deck the Hoodoo Queen births forth will be incorporated in my spiritual work. 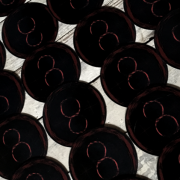 Thank you Queen Dark Mother for the time and spiritual dedication you sacrificed to bring this deck into manifestation. Excellent purchase.